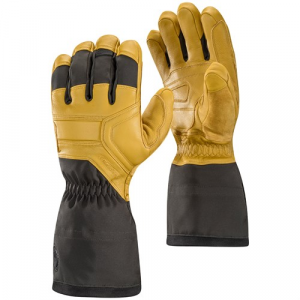 This super warm, professional-grade glove is designed to provide unparalleled protection from the elements, without compromising dexterity. With waterproof / breathable GORE-TEX(R) inserts, a durable nylon shell, and PrimaLoft(R) insulation, the Black Diamond Guide Gloves are the total big mountain package. From digging pits to finding your lost skis after a nasty tomahawk, the Guide Gloves are here to help.